We’d like to introduce Joeleen Davis, a creative Cutting Edge Stencils fan. 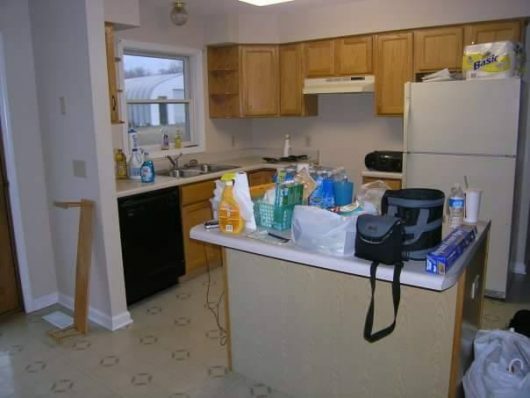 She has been working on a kitchen update. Here is what it looked like before the update. 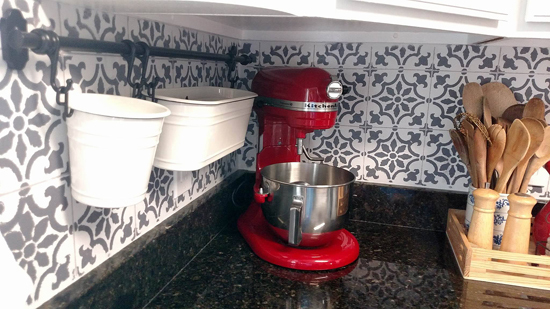 Since this was a budget friendly kitchen makeover, Joeleen decided to paint a faux tile backsplash using the Fabiola Tile pattern. 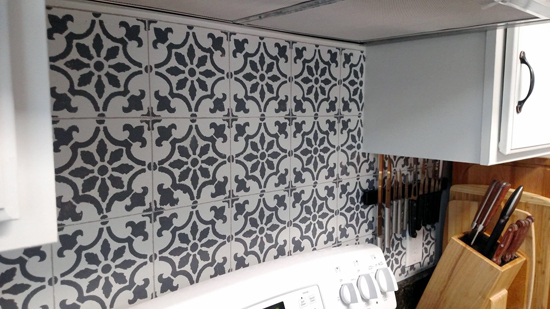 The faux tile pattern is based on traditional Portuguese Azulejos tile designs. The wall was already painted white so Joeleen was ready to start stenciling once she had her pattern in hand. 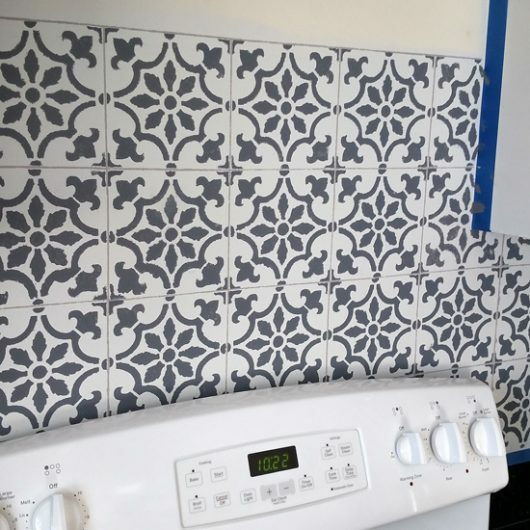 Repositionable spray adhesive is always very helpful for a project like this because it can help hold the stencil in place. She used a two inch dense foam roller to paint the pattern in a dark gray hue. Be sure to roll off any excess paint on a piece of paper towel. Too much paint will cause the design to bleed. 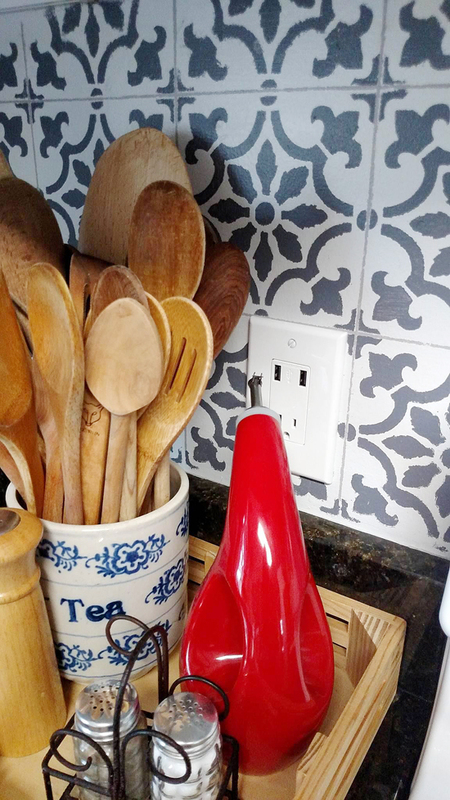 Use a stencil brush to paint the harder to reach spots like along the counter and under the cabinets. 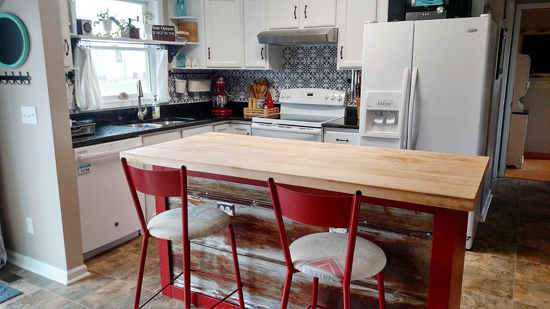 When the wall was complete, Joeleen painted the cabinets, replaced the island, and updated her appliances. 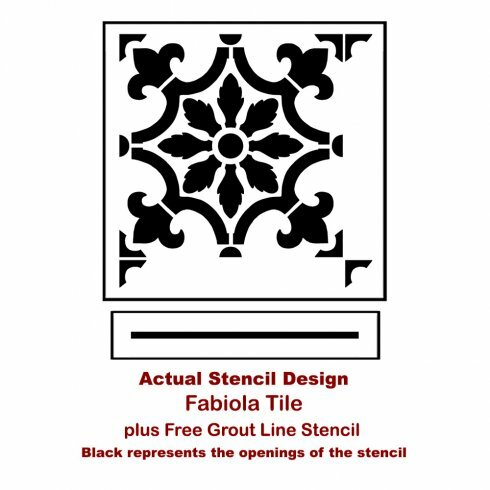 She then stepped back to admire the Fabiola Tile pattern. 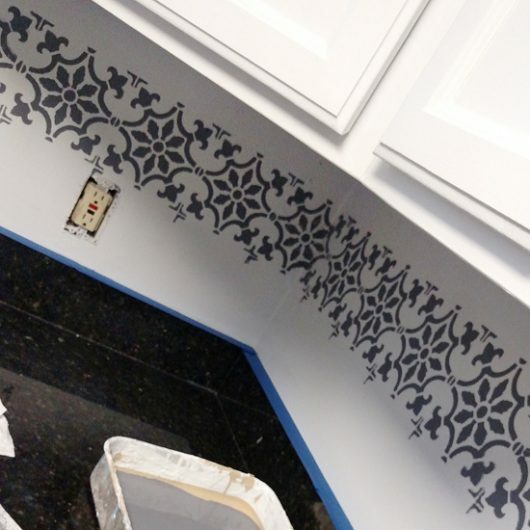 Are you ready to see her stenciled faux tile backsplash? We are about to flood you with some beautiful eye-candy! 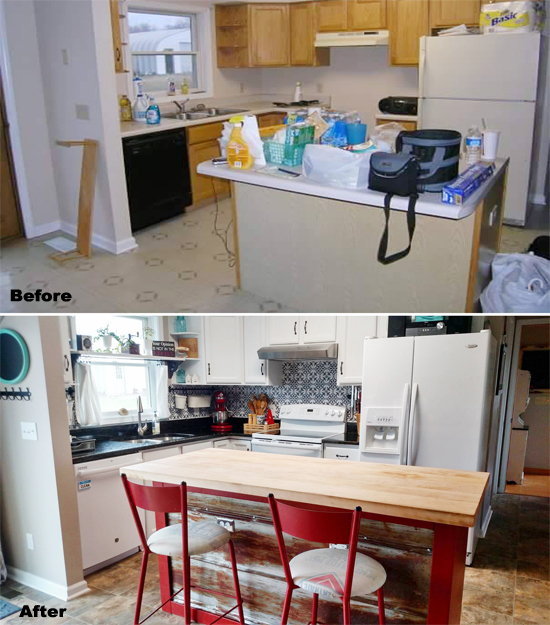 Check out this amazing before and after photo! 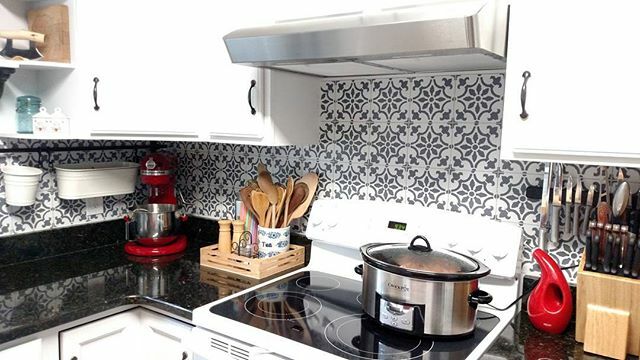 Tell us, which tile stencil design would you use on your backsplash? Leave us a comment below, we’d love to read your thoughts!